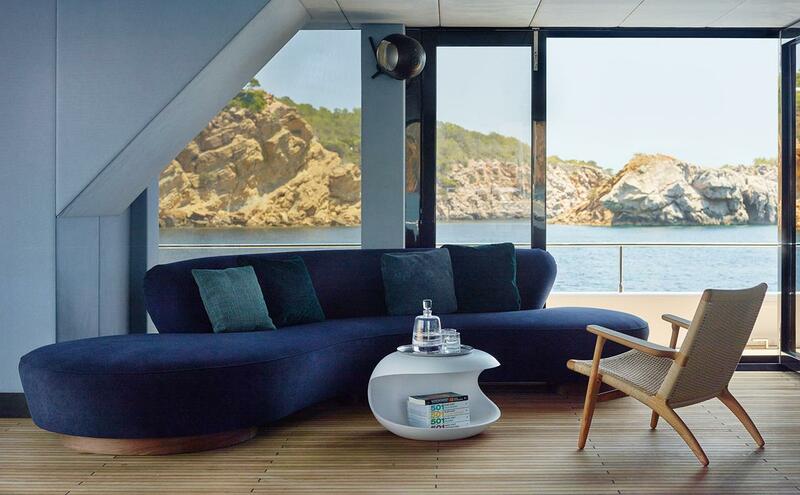 It is a brand new and unique 300 square meter sailing loft, a flexible home. 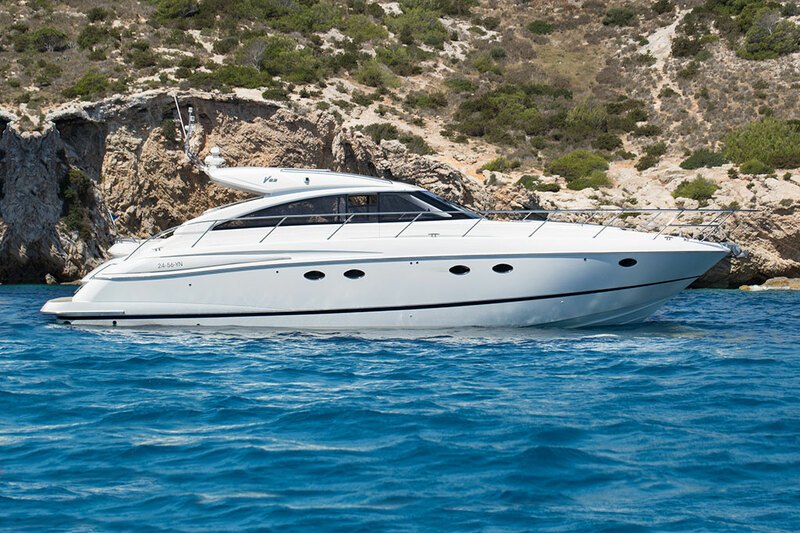 During summer season we will cruise around Ibiza & Formentera. A place where 8 residents and 4 crew can stay together for a unique holiday while having enough room for their personal space. 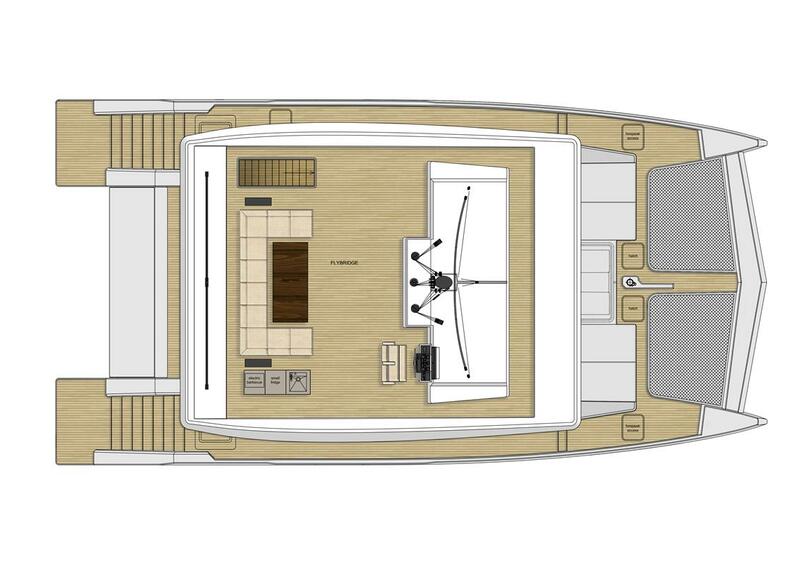 The 8 x 8 meter open saloon is considered as a loft, furnished with design furniture . 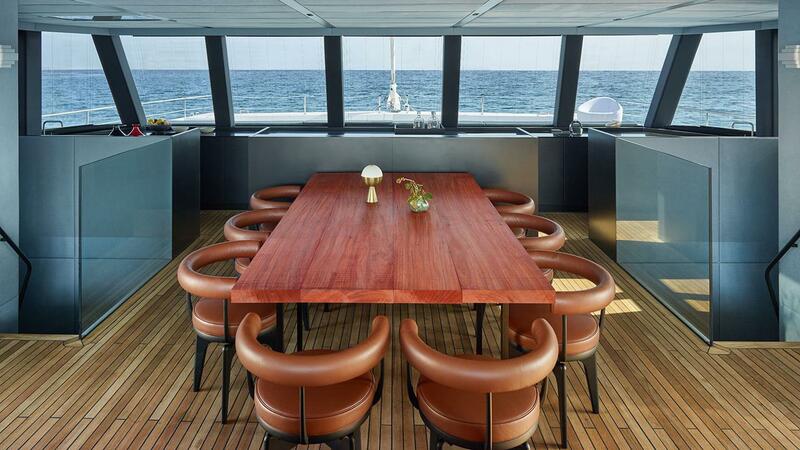 The teak floaring inside and outside emphasize the 10 meter width of the vessel. 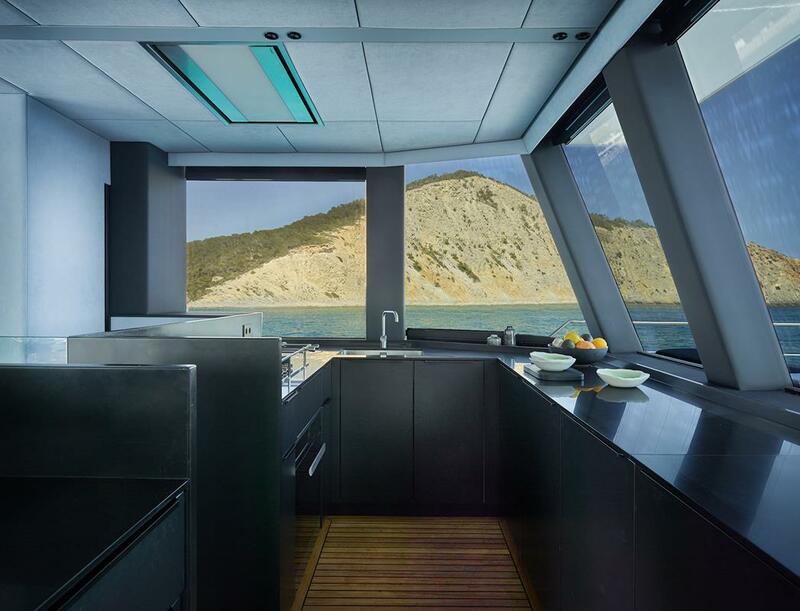 An open galley at the front of the boat with large windows makes the view 360 degrees . 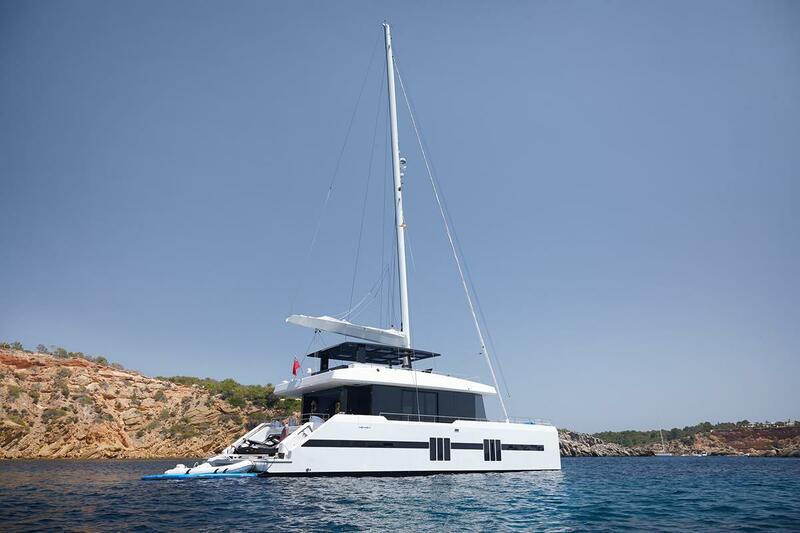 At the front of the main deck a large galley is installed with all professional equipment such as oven, cooking range, steamer, freezers, fridges, icemakers and an extra silent dishwasher. 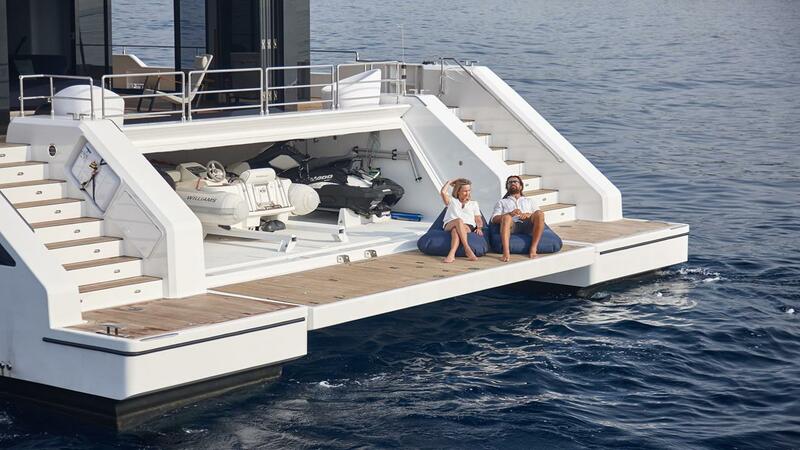 The front of the boat has an exterior lounge area of 50 m². 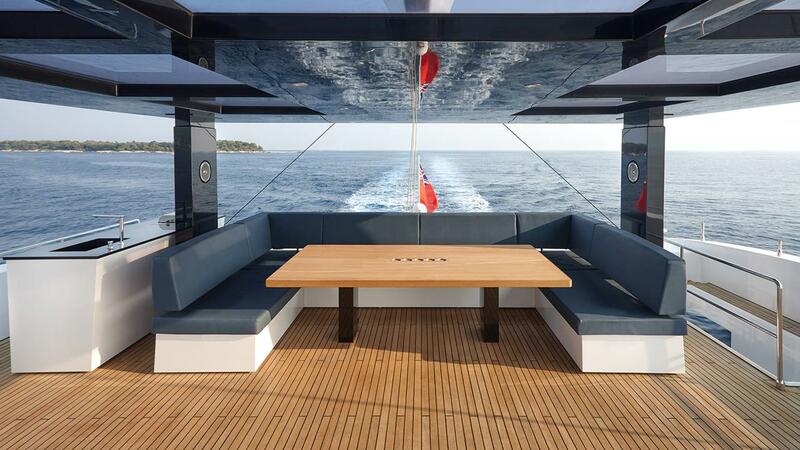 The large solarium is the place to relax on large sun pads or to enjoy a bath in the Jacuzzi that seats four. 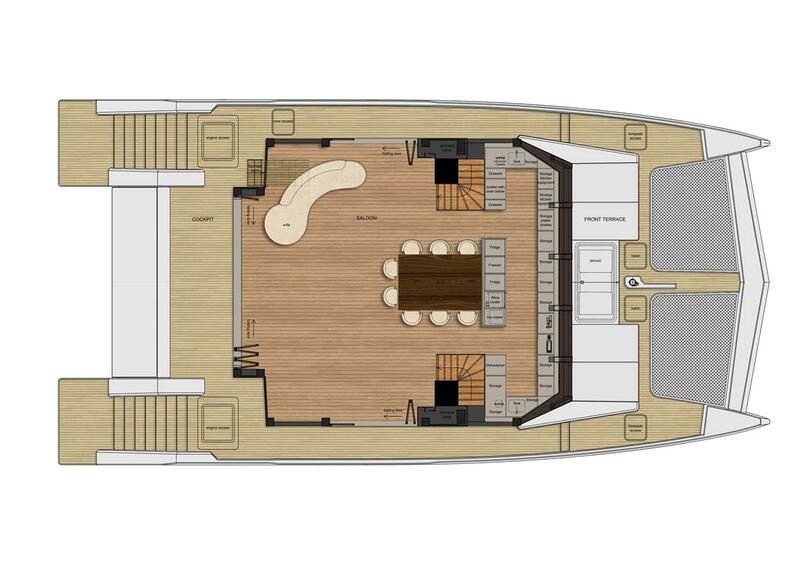 The lower deck provides 3 guest cabins and an extra large master cabin. 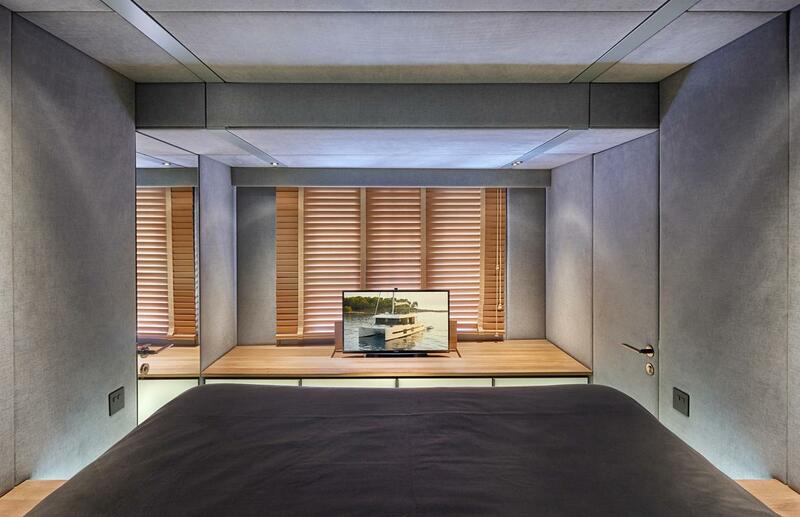 Every cabin has its own TV that is connected to the digital movie library on a central storage system, a dedicated amplifier drives the speakers that are hidden behind the fabric in the ceiling. 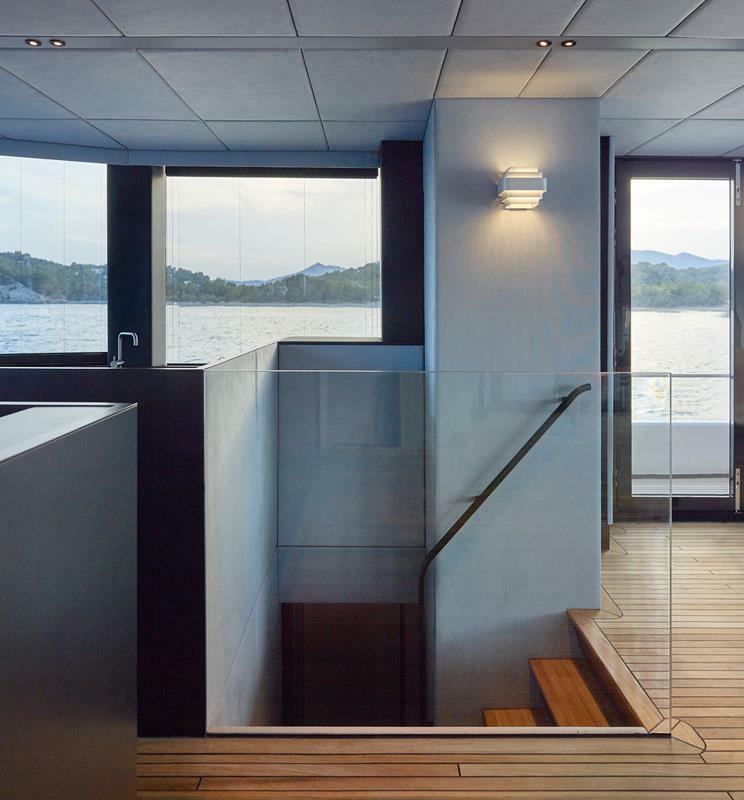 All cabins have acoustic improved walls for your and the fellow guests comfort. 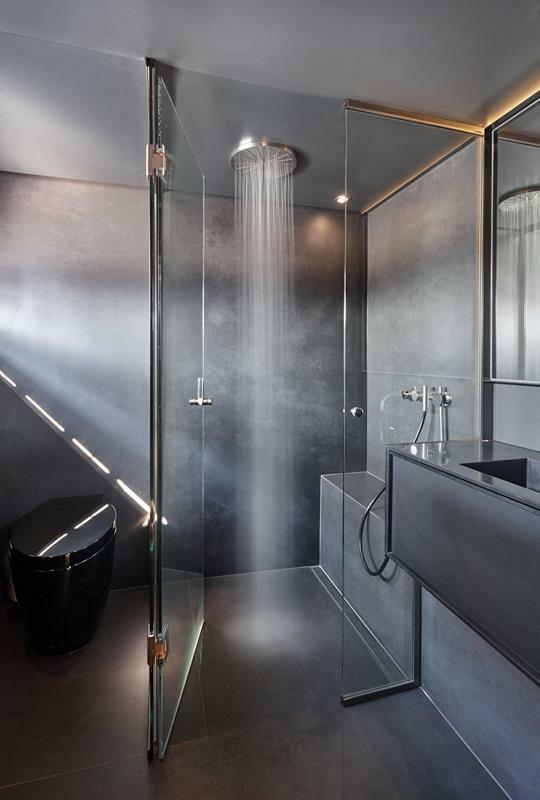 The large owner bathroom and the 3 guest bathrooms all provide a large walk in shower with a bench to provide at all time comfort and safety. 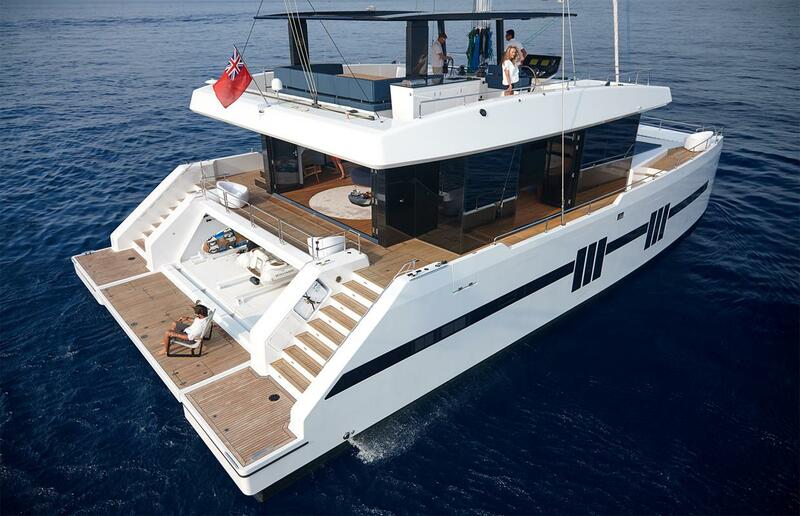 Six meters above the waterline Midori features an immense flybridge of 65m² topped with an elegant bimini. 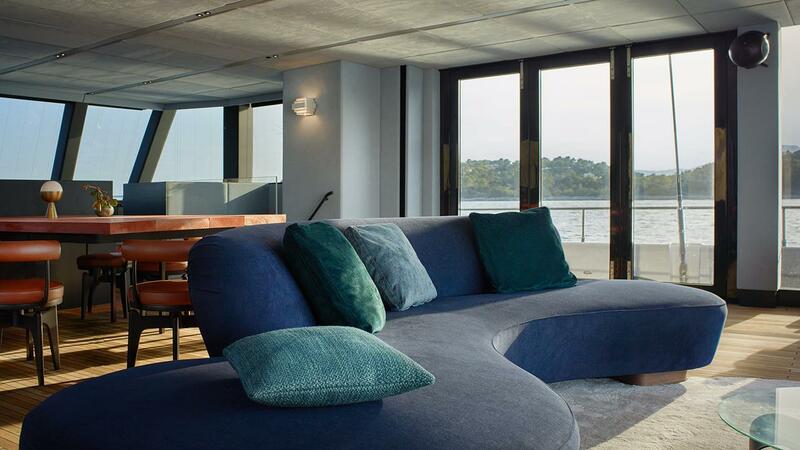 This scenic area is fitted with a bar, grill, large sofa, dining table and mattresses to obtain a vast dining and lounging space.